Yesterday we talked sandwich. Today, let’s talk side dish. Actually, let’s first start with the condiment. When it came time for dinner, I knew I needed something to flavor the beans. Though I thought the dill butter would be perfect on its own, there I was with a pan that had just cooked bacon for the Bacon, Lettuce, and Peach Sandwiches. A little time in the bacon sauna to let the butter work and let’s just say…magic happened. A little butter would make anyone eat their veggies! 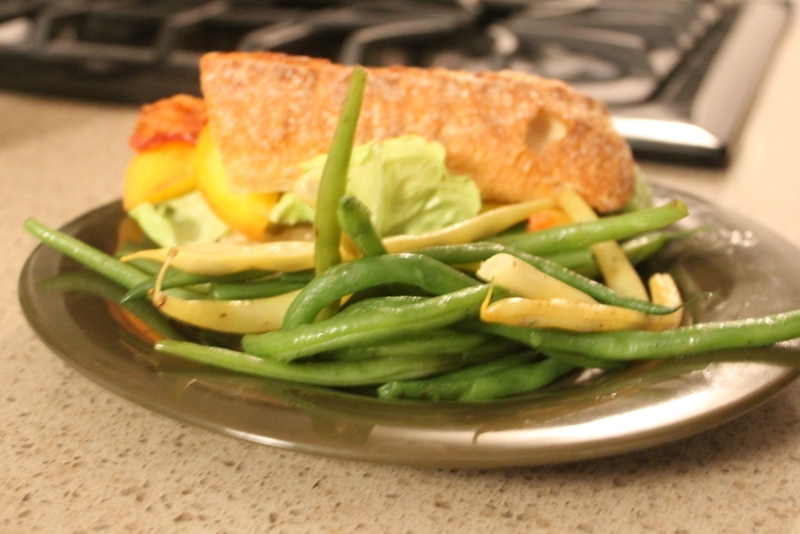 These green beans are sure to be a hit at your dinner table. 1. Clean and trim beans to desired size. Add to a pot of boiling water, cooking until tender, probably 4-6 minutes. 2. If using bacon fat (cook bacon for another recipe), make sure there is only about one tablespoon of melted fat left in the pan. Alternatively, use one tablespoon of your favorite oil. Heat pan to medium. 3. 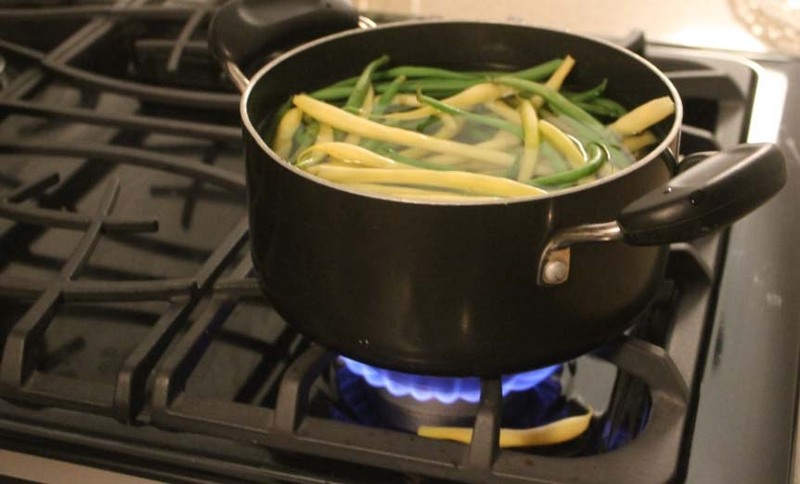 Drain beans or use tongs to place directly into the frying pan. Add dill butter and stir until melted. Plate immediately. This versatile herb butter will serve you well as a great addition to many meals. Keep some in your fridge for now and freeze the rest. 1. Combine all ingredients, using a food processor for ease. 2. Place in serving bowl and cover. Give it at least one hour in the fridge to firm. 3. Butter can be frozen for up to four months if wrapped tightly in wax paper.